I’m reading the book of Jeremiah right now. I think he is the perfect prophet for today. You see his struggles as he honestly deals with the task the Lord has given him. Many times he is truly struggling with the weight he is carrying. His commission from the Lord was to the nations, “to uproot and tear down, to destroy and overthrow, to build and to plant.” 1.10 NIV So much of his ministry was going to be tough, hard words to tear down. Do you think he had some push backs? Yes he did. One of the things that caught my eye this week was his hard words to those who lead God’s people. 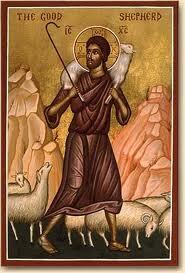 The responsibilities the shepherds have for the flock is very near to the Lord’s heart. Hear God’s desire for us in leadership. The NIV leads with, “Woe to the shepherds.” There is a severity in this first line. What are you doing? How are you leading? This is the warning Jeremiah is giving from the Lord. You guys are blowing it! What were they doing wrong? There’s a great list in verse two. They’ve not cared for the flock. What does this say to us? I hear this and I’m stopped in my tracks to consider the Lord’s word to me. Are we as shepherds working to pull the sheep back into the flock? Are we looking for the lost sheep? Are we willing to work with all kinds of people in our tending of the sheep? Or do we only work with those that are like-minded? Our responsibility in leading is to keep people a part of the church, to have a watchful eye on those that stray. In my Campus Group we have a process with those in our ABF that haven’t been around. A few of us make a call, drop a note or write an email when members have missed for three weeks, then at five weeks and finally at seven. These seem like they’d be awkward conversations. My experience is that they are really quite good. People who’ve missed like the interaction and attention. And guess what happens after the contact…many times these folks show up again. That’s fun. It’s also our responsibility in tending the sheep under our care. The second responsibility God through Jeremiah reminds us is care for the people. This is simple ways that we can heal, mend, encourage and help. It is giving people an ear. Remember Job’s lousy friends that had all the answers and little on the side of listening. The best we give people is attention. Yet there is so much more. Providing meals and assistance as our friends go through trying times (having babies, surgeries, loss of work). When its beyond our gifts, its finding resources and others who can help in more effective ways. As we do sometimes very small acts of service we provide care and encouragement way beyond what we imagine. Listening to those recipients of care as they share the story, you can hear the emotion in their voice, their thankfulness to the givers, their thankfulness for the group, their gratefulness to the Lord. Care done well is a beautiful thing. If you’ve ever been on the receiving side you know that overwhelming feeling of being loved. Jeremiah’s words should remind us today. We as shepherd need to do the responsibilities the Lord has commissioned each of us. May the Lord grant you and I strength to do it well.